Home|TBI Origins Field School Spring 2017 Begins! 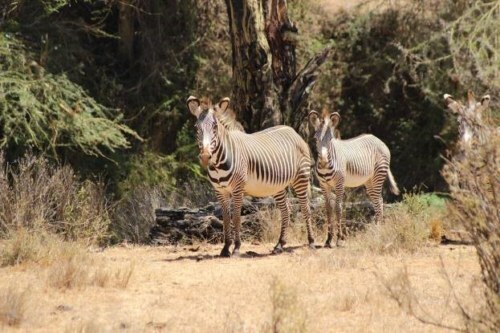 Welcome to the Turkana Basin Institute field school blog Spring 2017! 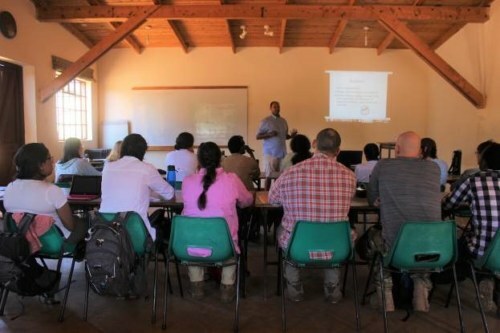 As the Resident Academic Director for the field school, I will be accompanying the students, TA’s and instructors throughout all of the field school modules. It is my goal to ensure that the students have an incredible learning experience that they will carry with them for the rest of their lives. I feel so fortunate to be a part of their experience and to share all that the TBI field school has to offer with them. 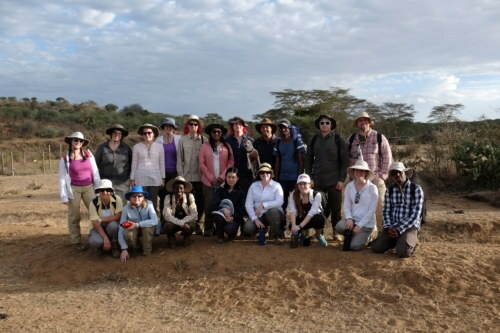 The Origins Field School will provide students with an education about human origins, specifically situated in the Turkana Basin, Kenya. 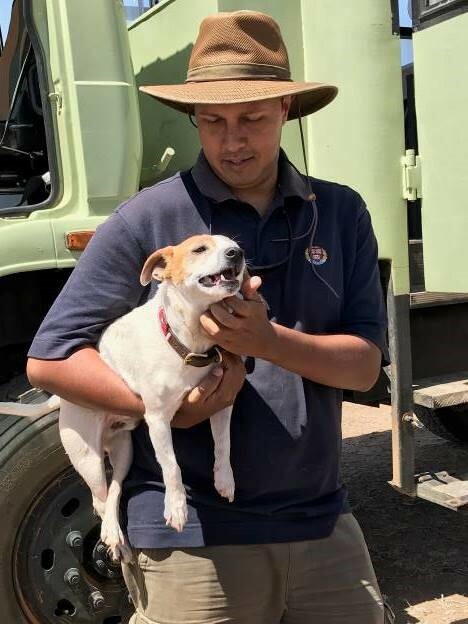 We start with building an understanding of the interactions and relationships between animals, the environment and climate (Ecology) in the present-day. With this understanding, students can apply main ecological concepts to the deep past. Next, the students will learn about the geological processes that formed the Turkana Basin itself. 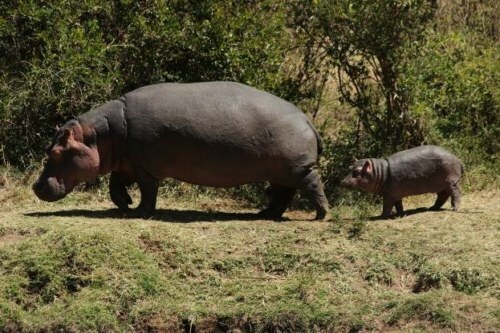 With this knowledge of deep time and the changing landscape, students will be able to understand the relationships between ancient environments and animals. 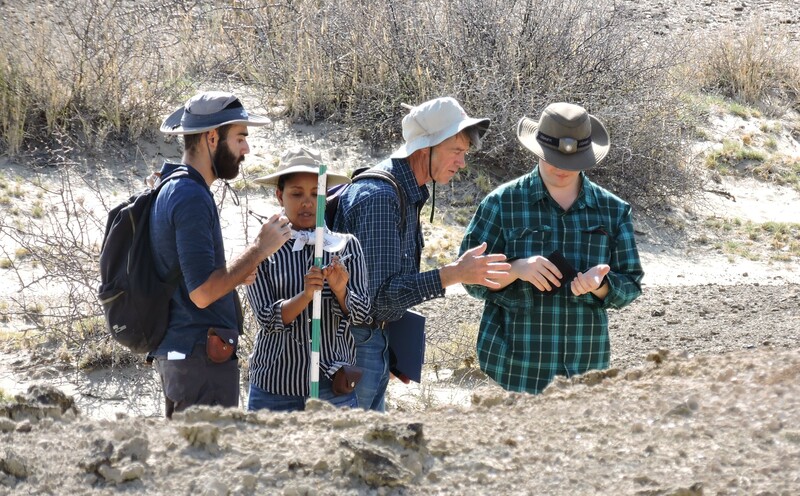 Finally, the students will discover the story of how human ancestors evolved within these past environments and their cultural innovations that we discover in many archaeological sites around the basin. During this field school students will develop new research skills, gain knowledge about human origins, witness the livelihoods of people from different cultures and develop long-lasting friendships. 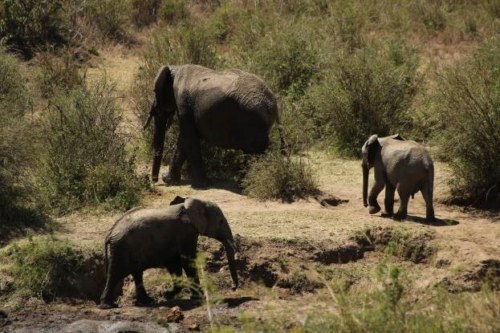 I am happy to report that we have arrived safely at Mpala Research Center in Laikipia, Central Kenya. 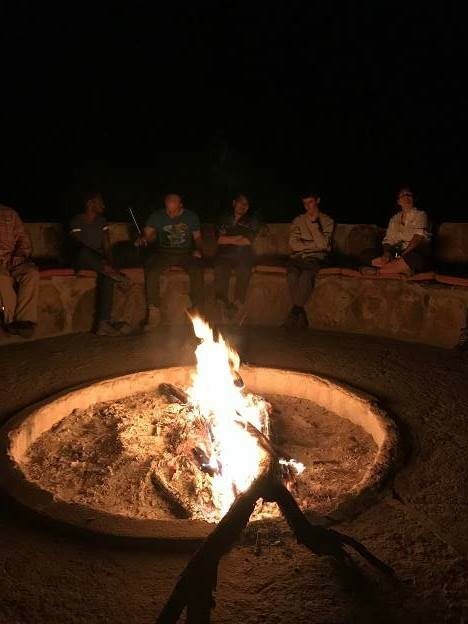 We all arrived here on Thursday evening and have already enjoyed so much of what Mpala has to offer. 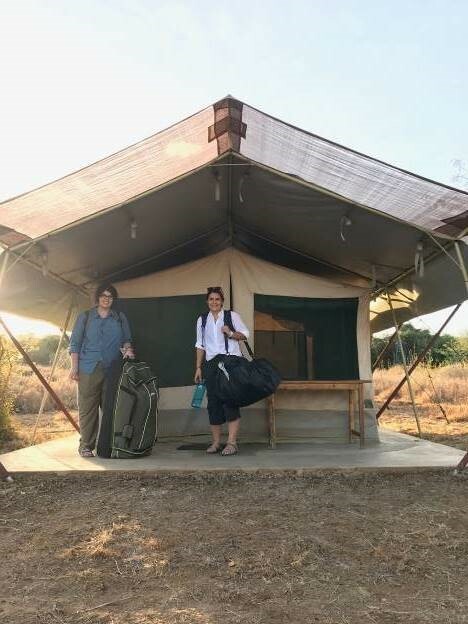 Leah and Jessica get settled into their tent at Mpala River Camp – a little slice of paradise! Photo credit: Laura Morrissey. The students get to know each other by the fire at our campsite. Photo credit: Laura Morrissey. 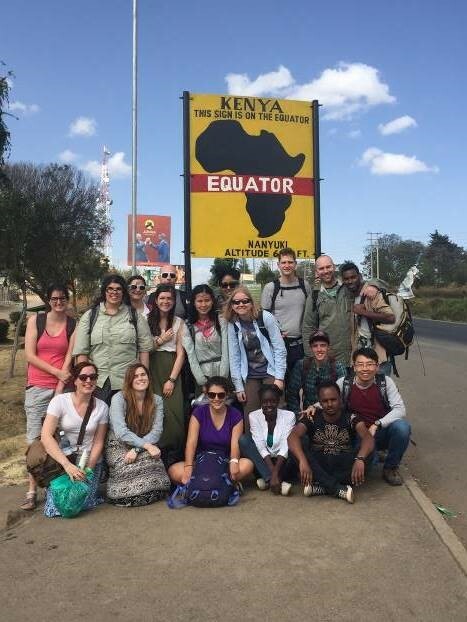 We had the opportunity to visit the nearby town of Nanyuki for souvenir shopping and visiting the Equator! We ride in style in this safari lorry for game drives around Mpala. Photo credit: Laura Morrissey. 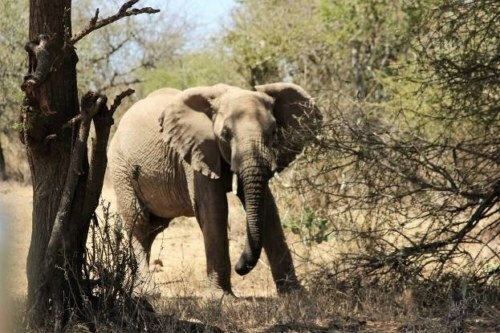 Our first game drive was a great success with a warm welcome by the wildlife. 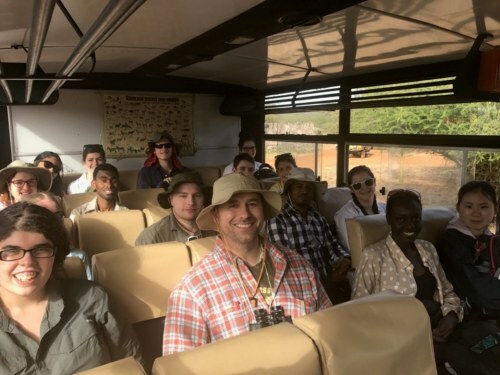 Yesterday, Dr. Dino Martins (Director of Mpala Research Center and Ecology module instructor) introduced the students to the course, and to a special field assistant, Barabara! Yesterday and today the students have been getting settled into the classroom and other learning facilities at the research center. 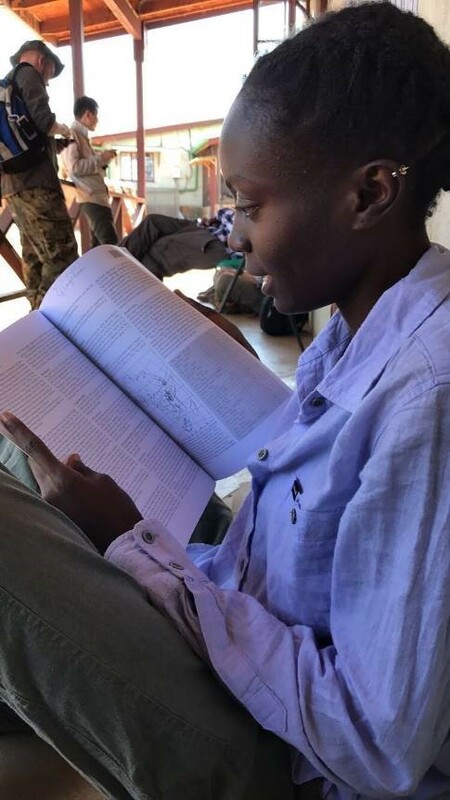 Esther picks up one of the many books here at the Mpala library. Photo credit: Laura Morrissey. 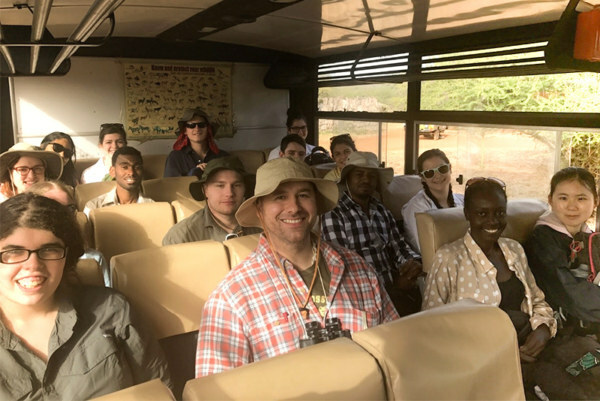 You can follow along with the students as they learn throughout the modules by following our field school blog.